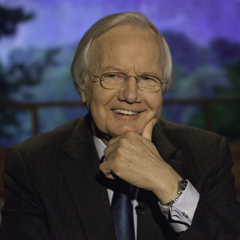 We're thrilled that Bill Moyers will continue producing Moyers & Company in 2014. The program will be available here on PRX and will be shorter in the new year -- only 30 minutes. But it will contain Moyers' trademark analysis and observation and crisp interviews with policymakers, journalists, writers, social observers and politicians. We would love to hear if you plan on carrying Moyers & Company in 2014 and if there is anything we can do to help. Please message us here on PRX or through the contact information below. A new generation turns an old idea into a crusade to save the future. This week on Moyers & Company. Moyers & Company Show 351: American Indians Confront "Savage Anxieties"
Savage anxieties – how myth and law have made stereotypes of American Indians. This week on Moyers & Company. Falling through the Cracks of the New Gilded Age. This week on Moyers & Company. The midterm elections are over and to the victors belong the spoils. This week on Moyers & Company. Two college professors leave academia for the rough-and-tumble world of electoral politics. What did they learn? This week on Moyers & Company. On Election Day, a small California city took on one of the biggest corporations in America… and declared victory. This week on Moyers & Company. Independent Senator Bernie Sanders on breaking big money’s grip on our elections. This week on Moyers & Company. The Plot to Steal Your Vote. This week on Moyers & Company. Pulitzer Prize-winning author Marilynne Robinson on keeping faith in democracy. This week on Moyers & Company. Reporter Bob Herbert on his new book, “Losing Our Way,” an intimate portrait of America in economic despair. This week on Moyers & Company. Moyers & Company Show 339: Too Big to Jail? This week on Moyers & Company, Christian and climate scientist Katharine Hayhoe on ending the gridlock of politics, science, and faith. Nobel Prize-winning economist Joseph Stiglitz on why America’s future prosperity depends on tax reform today. This week on Moyers & Company.